MMMMMM good! Such a simple soup yet sssooo good. I try to come up with different recipes for soups so no one gets bored eating them. I wouldn’t want anyone to stop eating something so good for them. My love of soup comes from my childhood. My mother use to make the most delicious soups. Every Sunday before we went to church there was always a pot of chicken soup on. That was a staple for Sunday with homemade egg noodles. So when we got back from church we always had chicken soup for lunch. When I got married and had my own family I always tried to have soup on hand, especially when the kids got sick. Chicken soup was surely a staple then. Now, I always have soup for my grandchildren when they come after school. They really seem to look forward and enjoy it. 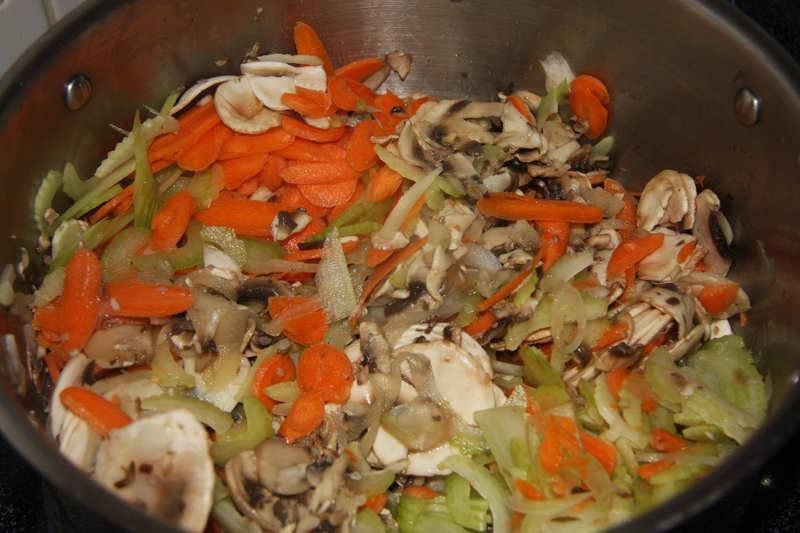 Realizing very early on soup could be made from very simple basic ingredients. But what I couldn’t understand was why everyone didn’t make their own. 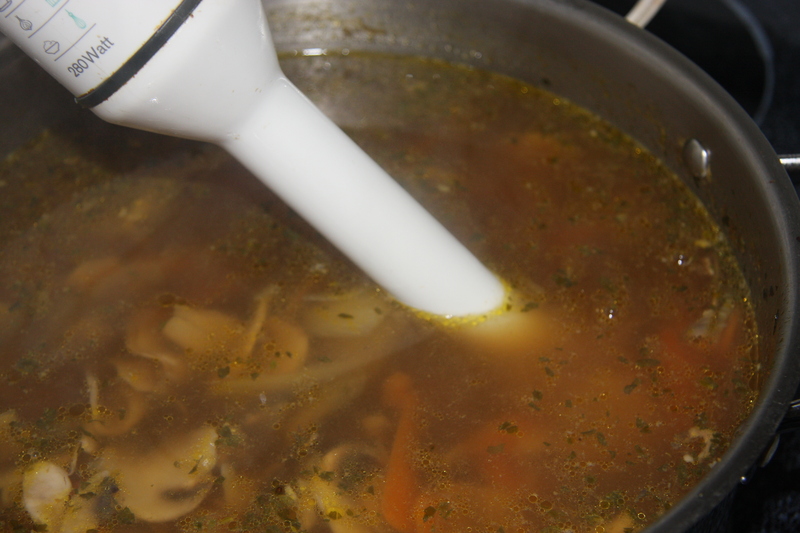 I would open my fridge or my cupboards and to see what I had on hand, add the ingredients to a pot with some water, simmer and within 1-2 hours you had a pot of soup. 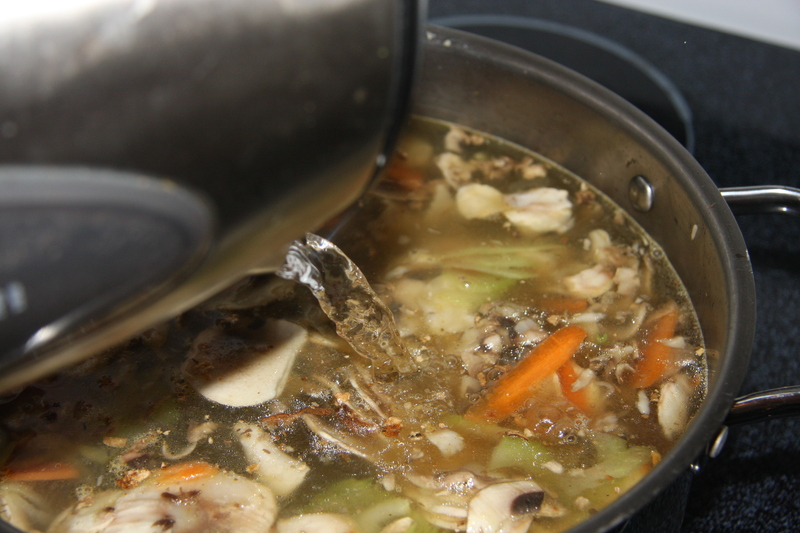 Usually most of the soups had a chicken base so in would go chicken or their bones first. After that step your possibilities were endless. I encourage you to make and eat more soup. You will become a lover of this dish and once a convert you most definitely encourage others to do the same. 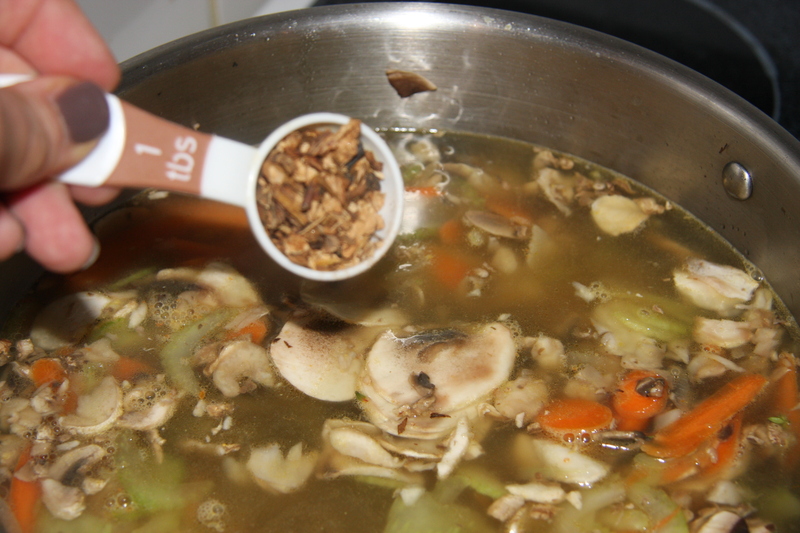 And 1-2 tablespoons of dried mushrooms. These add a nice flavor to the soup. Partially cover and after this has been brought to a boil, lower the heat and simmer for 1-2 hours. I also added enough boiling water to fill up the stockpot. 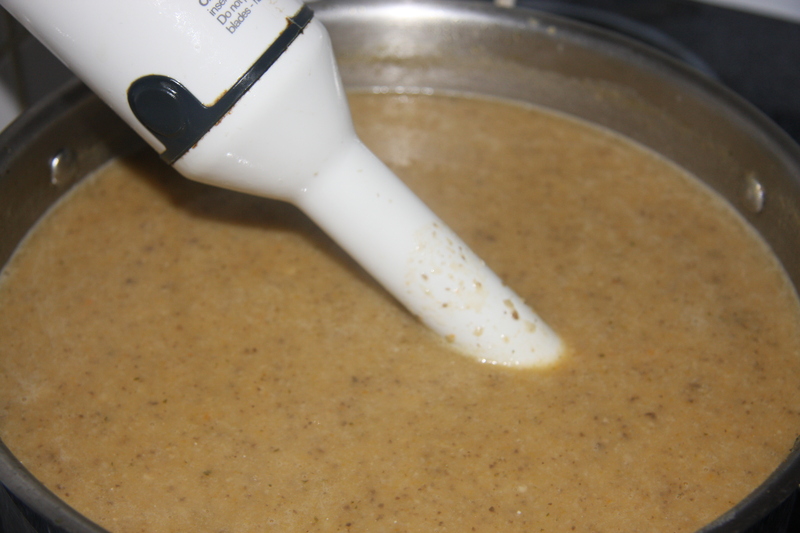 After 2 hours, take an immersion blender and puree everything. 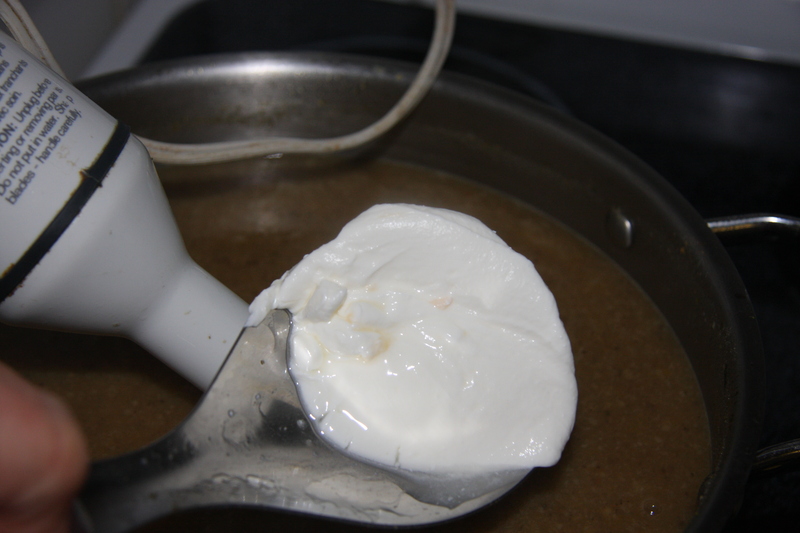 Add 1/2-1 cup of sour cream, salt and pepper to taste and mix it in with the immersion blender. This is what it will look like. A beautiful beige or tan color. Served with a salad and some rolls you have such a delicious meal. 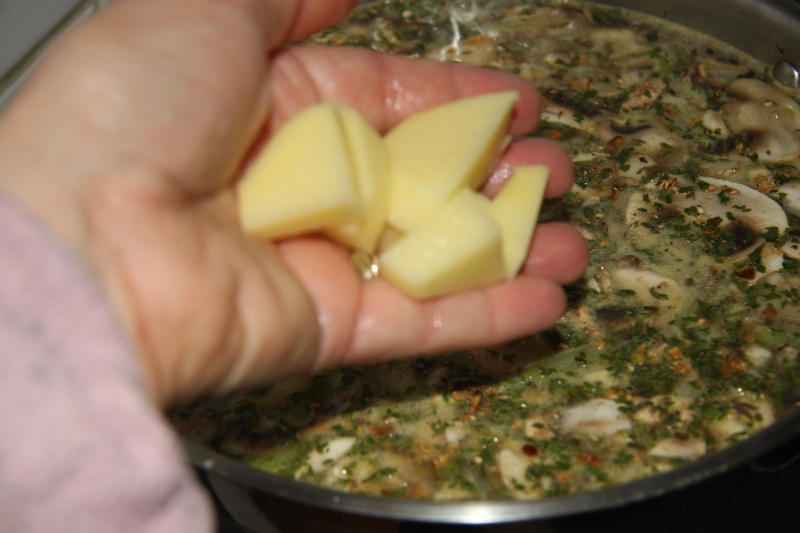 In a stockpot add the oil and butter. Next adding the onions and garlic, frying for a few minutes. Followed by all the other veggies. Again frying for a few minutes. 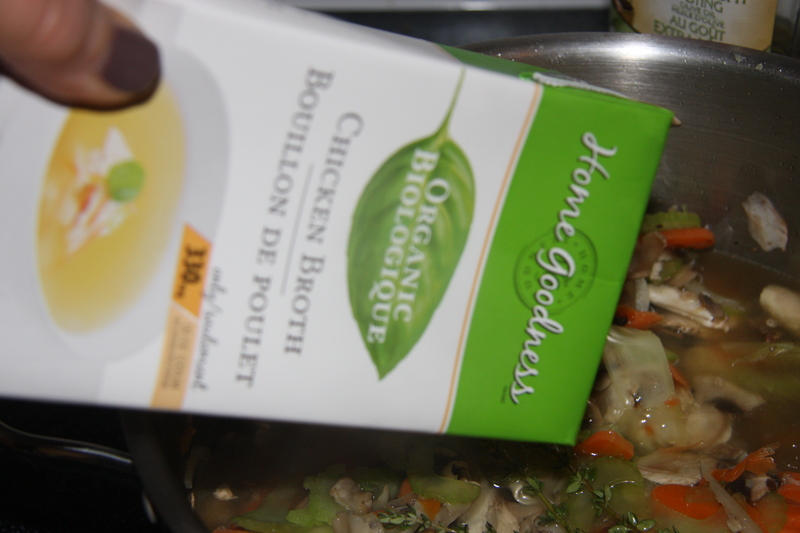 Add the chicken stock and fill the pot with boiling water. 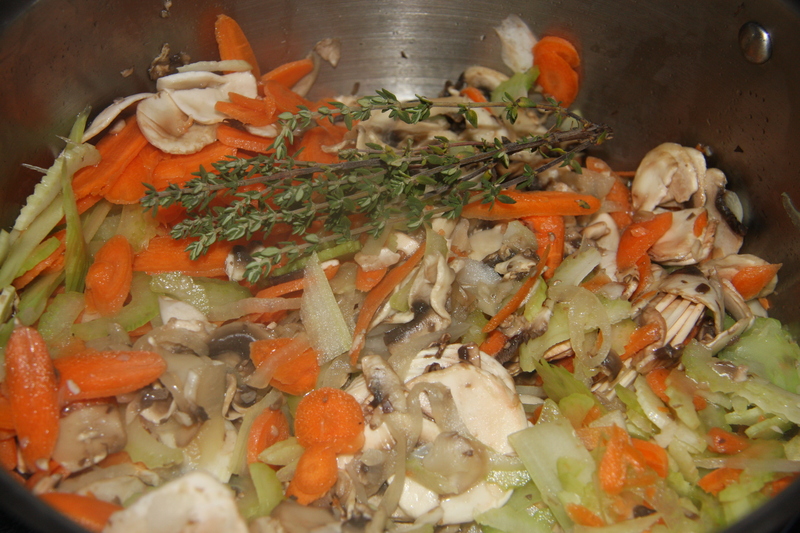 Partially cover the pot and let it simmer for 1-2 hours. Next add the sour cream and puree all the veggies with the immersion blender. 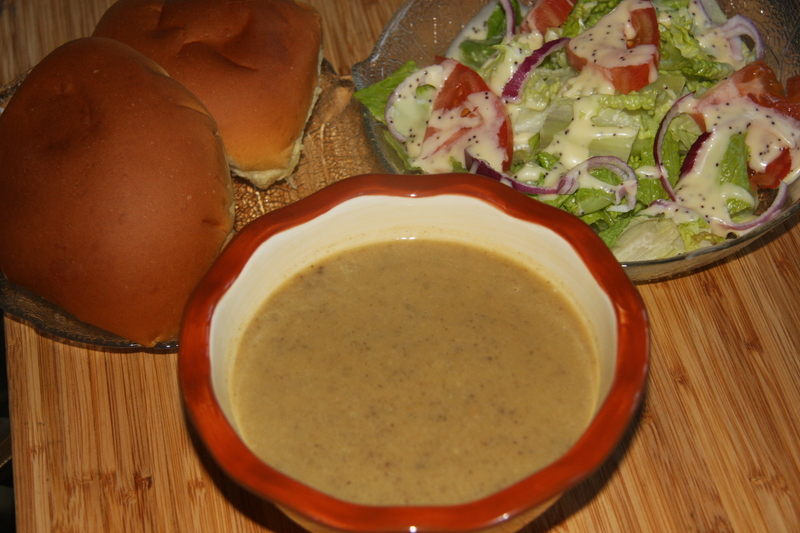 Place into a soup bowl and serve with a salad and some rolls.